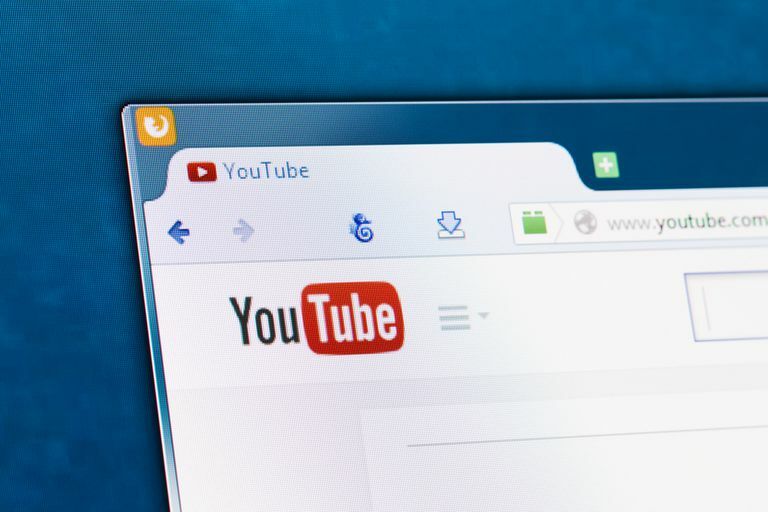 YouTube turned 13 years old in 2018 and most people can remember some of the old YouTube layout features that are now long gone. It's clear that the world's largest video platform and the second largest search engine has gone through a lot of changes. As the World Wide Web continues to evolve, so will the world's largest video sharing platform. And you've got to admit it's pretty amazing to realize just how fast things change on the web—especially given how young some of the most popular sites we use today really are that we could barely imagine living without. Remember the good old days on YouTube? Here are a few long-gone features and trends to refresh your memory. Most major YouTubers encourage their viewers to give their videos a thumbs up if they liked it, but prior to 2010, YouTube's rating system was totally different. Every video had a five-star rating system, so viewers could rate them by giving them one, two, three, four or five stars. In 2009, YouTube realized that the star-rating system wasn't working anymore. So in 2010, it was converted to a simple thumbs up or thumbs down voting system. And it's been that way ever since. 2010 was really a turning point for YouTube as many of the old features and parts of the layout were changed completely or totally forgotten. One of the biggest layout changes involved moving the channel information and video description from the right side of the video to directly beneath it. Users complained that the change prevented them from being able to read the description and watch the video at the same time, but that didn't seem to phase YouTube—because the description still remains located under the video to this very day. YouTube killed off its video response feature in August of 2013 after realizing users were starting to use it less and less. It was an interesting feature that gave the video network more of a social community feel by allowing users to upload their own videos to their channels as a response video to another user's video. There used to be a section beneath the video viewer labeled Video Responses, which included all the responses a video would get from viewers. Another great community feature that YouTube began phasing out in 2010 were groups. Users could create their own dedicated groups, invite other users to join as members and everyone could share videos within the group. Groups could be centered around a particular topic of interest to keep the content as relevant as possible. Anyone who tried to join a group by pressing the Join Group button had to be approved by the group moderator first. Launched in 2011, Google+ was supposed to be Google's answer to social networking. In 2013, the company decided to integrate the G+ platform with YouTube, requiring everyone to have and use their G+ accounts to comment and interact across YouTube. Hundreds of thousands of people who were outraged by the changes signed petitions against this forced integration. In July of 2015, Google announced that users will no longer be forced the use their G+ accounts to create or use YouTube. A regular Google account, however, is still required. Before iOS 6 was launched in 2012, Apple had a native YouTube app of its own, which featured an old-fashioned animated television on its app icon. The native app was abandoned in favor of Google's plans to bring its own YouTube app to the platform. Given the exploding popularity of apps and mobile browsing in general, it was bound to happen at some point. Both Apple and Google were able to benefit from the changes. Google could gain full control of its mobile use and Apple wouldn't have to continue paying licensing fees to include the app in its iOS. The quality of video you can upload and watch on YouTube is far more impressive than what was possible just a few years ago. In fact, when YouTube first launched in 2005, only one quality level was available at a display of 320 by 240 pixels. 720p HD support was added in 2008, calling for the YouTube viewer size to be changed from a 4:3 aspect ratio to a widescreen one at 16:9. In 2014, YouTube introduced video playback at 60 frames per second, and a 2015 article from TechCrunch suggests that the company was experimenting with "ultra high def, ultra-smooth video playback." Today's YouTube channel pages are virtually indistinguishable from how they used to look years ago. There used to be a fairly large section on the channel page that users could dedicate to featuring comments from their viewers. The feature seems to have evolved into a Discussion tab in the current channel layout, which can be found in the top menu options (if users decide they want it on their channels). On the old YouTube channel layout, there used to be a big yellow button beside a user's name and photo that was labeled Add as a Friend. Friends were merged with subscribers in 2011, mainly because users were confused about what the difference was between them. Previously, users could notify their friends (as opposed to subscribers) via email whenever they posted new videos. YouTube videos that quickly rack up a lot of views have long been known to get stuck at 301+ views for hours, or even days. Finally, in August of 2015, YouTube announced that the video view count will better reflect more accurate numbers as views come in. Views were frozen at 301+ so that any fake views from bots could be accounted for and filtered out. YouTube still plans to filter out suspicious views, but it will keep a more up-to-date count with real views as they happen.